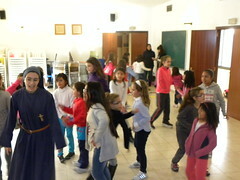 The first get-together for girls 7-years-old and up was held this past October 27th. Since the month of October is the month of the Rosary, the whole day revolved around the Rosary and Our Lady of Fatima. 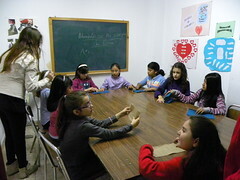 The girls made their own wallet in the arts and crafts time, played a very fun game, made a chocolate cake, watched a movie, had a reunion, prayed the rosary, and played games until the last minute of the day. The next get-together will be Saturday, November 17th, and although we will let you know the details later on, the main theme of the day will be about faith, so that these small girls (in their measure, which is not all that small), can live the Year of the Faith with the rest of the Church.